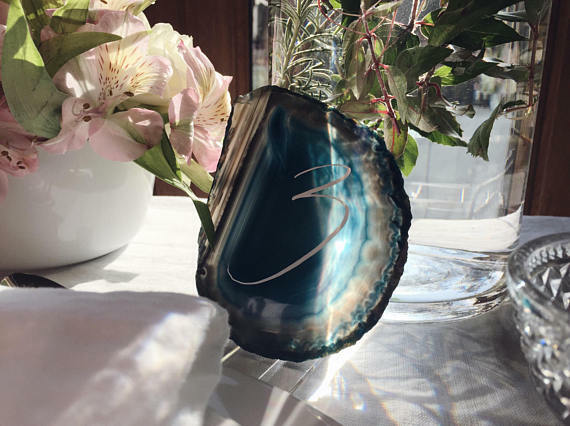 A handwritten agate slice is a gorgeous option for table numbers and place cards that double as personalised wedding favours. A naturally occurring gemstone, each slice of agate is unique in shape, pattern and colour intensity or shade. Which means each is a wonderfully individual gift (it may not be for you, however, if you’re looking for uniformity). 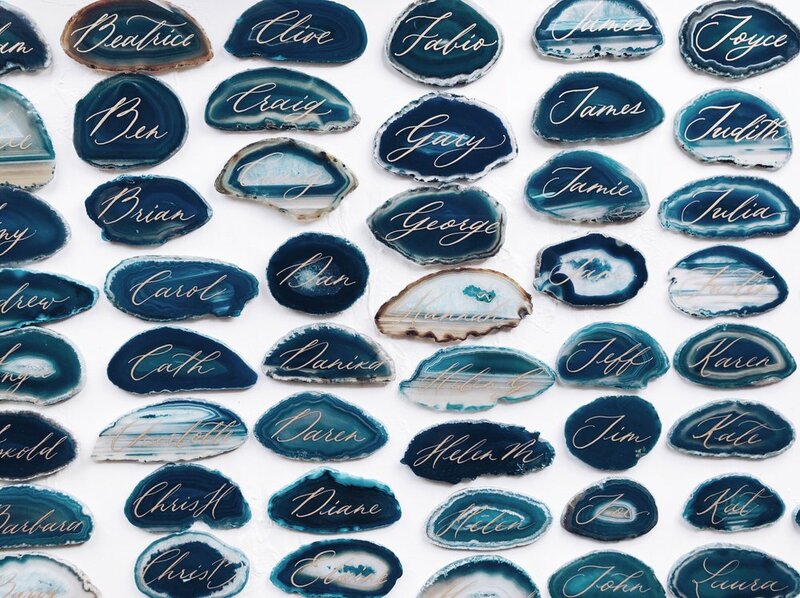 Smaller slices are around 4.5 cm to 6 cm and are best for place cards showing the first name only. please let me know and I’ll see what’s available. You can see the current offering in the shop or send me a message with a custom request.